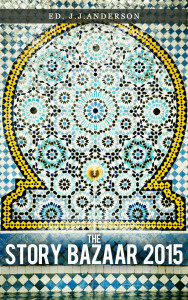 Thank you very much, all those of you who sent comments, many of them complimentary, about The Story Bazaar, for use in the back cover ‘blurb’ for The Story Bazaar Compendium 2015. I apologise if yours doesn’t make the cover, but I had to choose those which I thought most appropriate and which would tell the prospective reader most about the book. None of them will go to waste, I assure you, I will try to use all the comments, or parts of them, in promotional material for the book. So what your comments say? You made some interesting suggestions. One was that the site might also include book reviews, suggestions and recommendations of what readers might enjoy reading outside of The Story Bazaar. I hadn’t really thought about doing this. The articles on the site often reference many forms of literature, including modern, recently published books, but, given that the web-site is a publishers site it hadn’t occurred to me to include reviews of ‘the competition’. 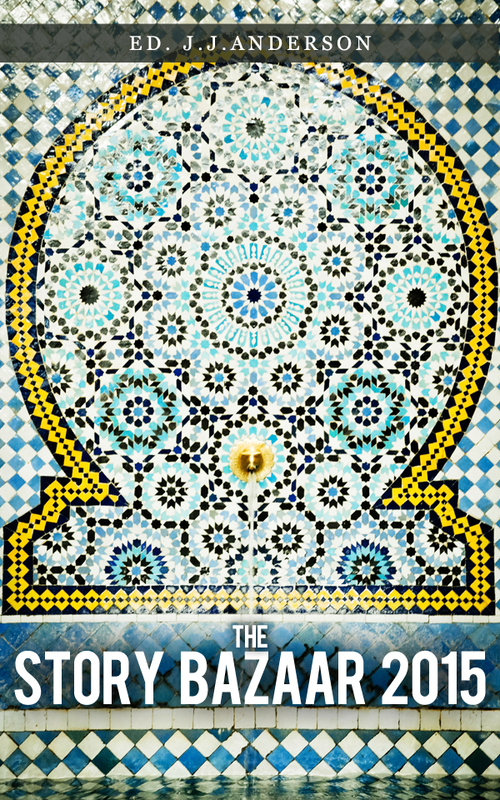 But, of course, The Story Bazaar cannot, yet, at least, compete with many of the books which I read and enjoy. It takes time to build up a book list. And, as one lady said, you expect a ‘story bazaar’ to be full of stories, currently there is ‘The Village’ and the blog pieces ( soon to be included in the Compendium ). Other books are in development, but they’re not available yet. So, shouldn’t it have more stories? Good idea, at least until there are more of The Story Bazaar’s own books on offer. So, readers, watch out for a few book reviews, although they may not be of books which are reviewed elsewhere – I often see the same books reviewed three or four times in the national press and there is no point in adding to those. I won’t exclude the contenders for major prizes, however, as these are often among the best on offer, but I may include personal favourites which you may or may not have come across before. 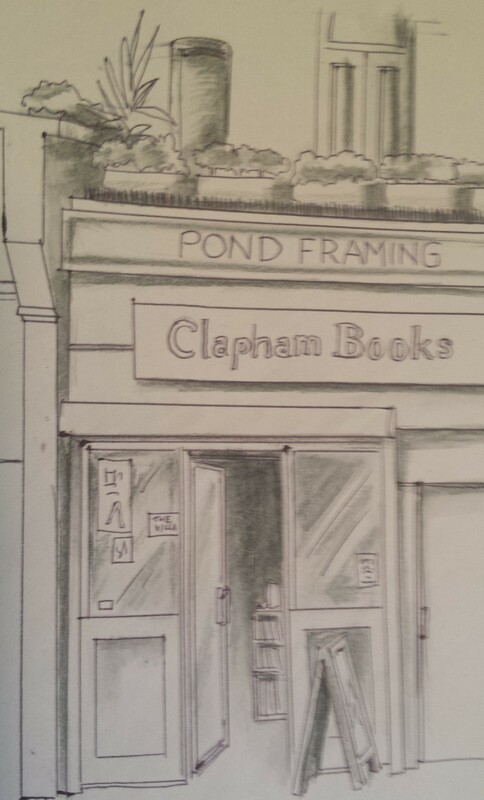 So back to the formatting and up-loading of The Compendium 2015, although on Thursday last I took a brief time out to attend a launch event at Clapham Books for ‘Clapham Through Time’ by Alyson Wilson and Claire Fry ( Amberley Books £14.99 ). Amberley publishes history books, with an emphasis on local history and this publication was under the auspices of The Clapham Society, of which I am a member. It is one of the popular photographic ‘Through Time’ series. Wine was drunk and there was much convivial chat, especially about the local area ( ‘Capital’ the TV adaptation of local resident, John Lanchester’s novel, started on BBC1 last week, which is set in Clapham and this prompted much gossip). I enjoyed watching it, so much was recognizable, and would be to any resident of London ( and it induced certain embarrassed twinges too – pomegranate molasses anyone? ). Incidentally, the sketch accompanying this article is one which didn’t make the cut into the Compendium, which includs original illustrations. 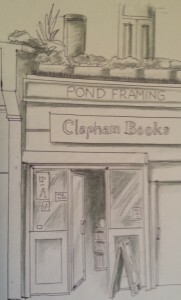 ‘Clapham Books’ a sketch which will shortly be in the possession of the admirable folk who run the shop, was set aside in favour of a photograph.